The biggest thing that they emphasized was that they want us to interact with them and to share what we learn with others. 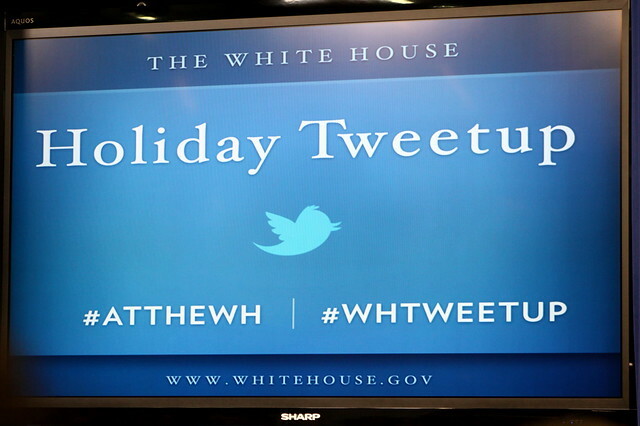 I also learned that www.whitehouse.gov/engage is a wonderful place to start if you’re looking for ways to get involved or find out what is going on at the White House. But honestly, I know what you want to know about are the White House decorations! 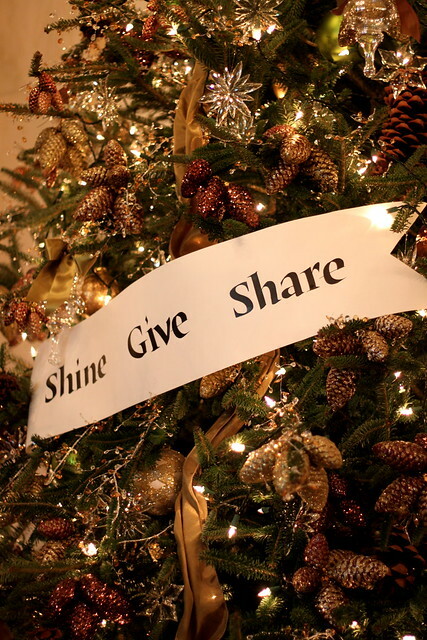 The theme is Shine Give Share and that was seen all over the house. There was also a huge emphasis on military families and service. I can’t even begin to describe how beautiful and ornate it all was. There were also replicas of Bo, the White House first dog, in every room. It was kind of like a game of Where’s Waldo but instead it was Where’s Bo. 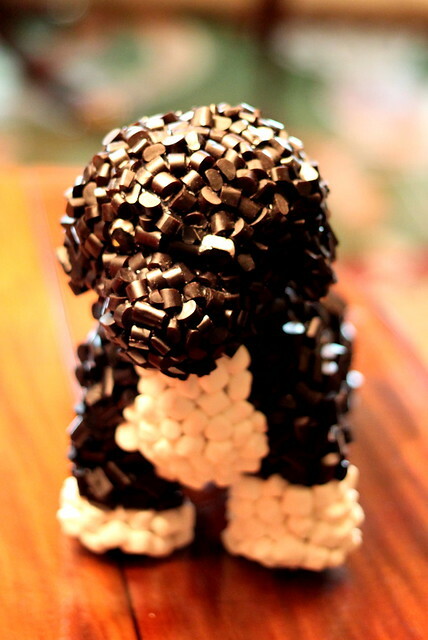 This version of Bo was made out of marshmallows and licorice but he was also 4 ft tall and made out of felt, tiny and made of buttons, even smaller and made out of frosting…Bo was everywhere. 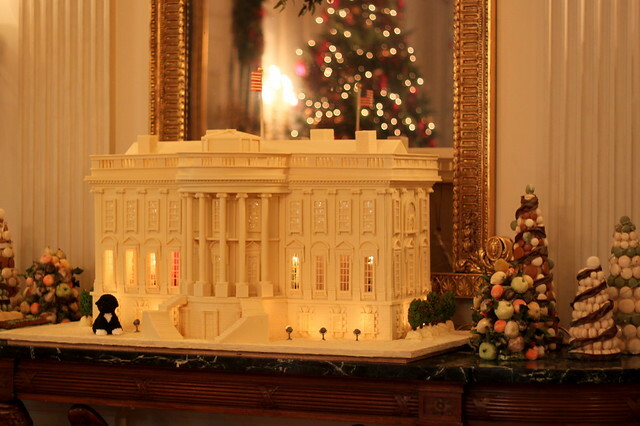 And this replica of the White House…it’s made out of gingerbread and white chocolate. It was insanely beautiful. There are a lot of pictures on Flickr and you can read up about the Holidays on the White House site here but I’m adding a slideshow of my pictures to give you a better peek into the holidays at the White House (I promise to update the captions tonight, I just had to get these up in a hurry so I could talk about it!). ← Happy Holidays & Thank You! what an awesome opprotunity!! i love the pics.